Custom XXXXXL Extended Mouse pad with printing your own image. 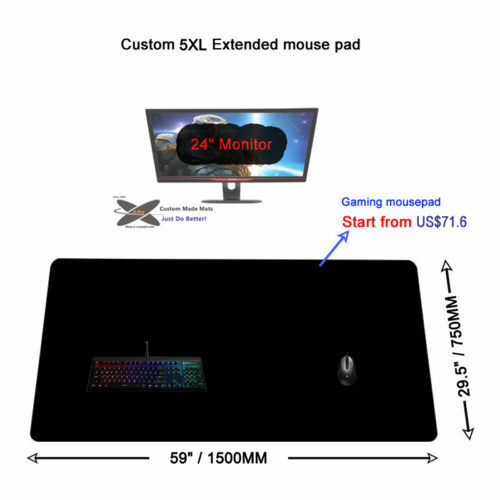 59″ x 29.5″ is VERY huge size as mouse pads. There is enough room to put your monitor, keyboard and mouse on it. You can choose custom printed your favorite image onto the mousepad top. Or select economic version – solid black one. You may be cared the thickness of the mouse pad. So you can choose a suitable thickness here to make your hand more comfortable possibly. If doesn’t care the thickness, you can take a regular thick. 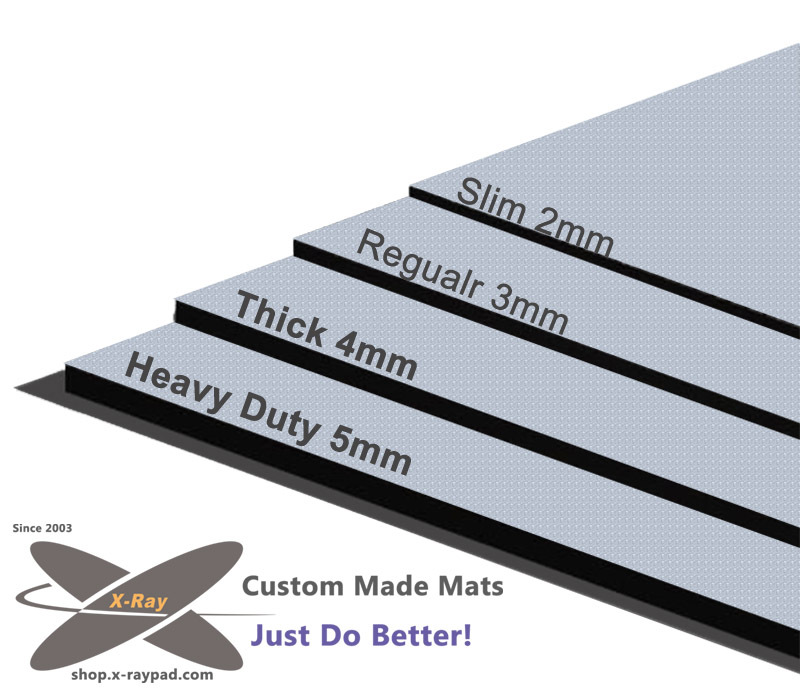 Otherwise you can choose the heavy duty mouse pad.